The same economic effect is important, not the terms, the Ukrainian finance minister says. 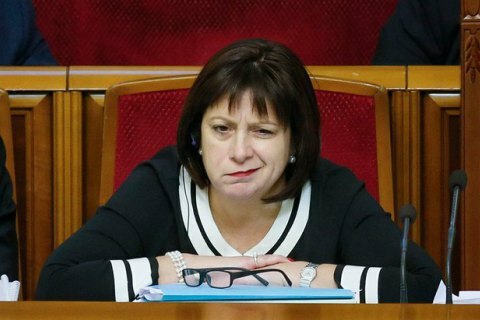 Any out-of-court deal to restructure Ukraine's 3bn-dollar debt to Russia must deliver the same economic effect for Kiev, though its format would likely differ from last year's private sector debt swap, Reuters has quoted Ukrainian Finance Minister Natalie Jaresko as saying. She said however that an agreement with Russia had to be consistent with the International Monetary Fund's loan programme to Kiev which envisaged saving 15.2bn dollars over four years via restructuring debt, and also must fit with the terms of the Eurobond restructuring that Ukraine conducted last year. "That means no better arrangement can be done, it doesn't mean it has to be identical (to the Eurobond restructuring). It has to have the same net economic effect," Jaresko said. "By definition it will be different technically but we must end up with the same net present value." "Unfortunately the Russian delegation wasn't able to meet us in Davos but I am always an optimist. We have a good track record of finding consensual agreements ... it's the preferable way for all of us," she added.